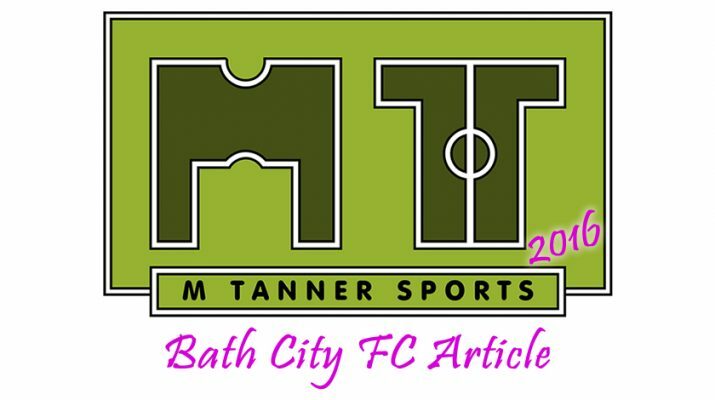 Bath City took on newly promoted League Two Cheltenham Town on Saturday 16th July and then it was the supporters turn to take the glory on Twerton Park on Sunday 17th. City went down to two late goals against their full time opposition in front of just over 300 fans on a humid summer afternoon. 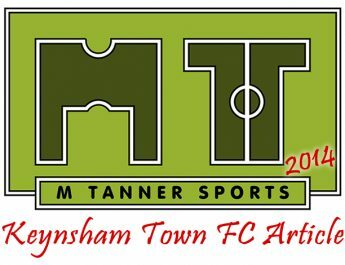 A full match report can be found here. Despite the result City boss Gary Owers will be pleased with the trialists performances with Ronald Huth putting on another decent performance. The former Paraguayan international looked very assured at centre back, rarely losing out on a header and switched the play effortlessly. Rumour has it is that he is looking to join a professional club here in England after coming through Liverpool’s reserve squad back in 2009; going on to play professionally in South America since then. If Owers can find the funds to keep the 26 year old he will be a major signing for the club even is it is a short term contract. Lee Marshall is another trialist who is catching the eye of other clubs. The 19 year old has impressed so far in central midfield and has offers from league clubs, however he has turned down one offer and looks set to stay with City for the time being at least. 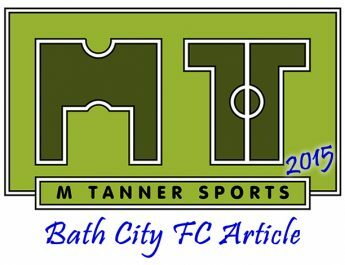 Against Cheltenham the former Swindon man broke up the play well and looked to get City on the front foot alongside a revitalised Billy Murphy in the heart of the pitch. City’s creative flare is looking set to come through Shaquille Hunter who gained a surprise start on the wing after Chas Hemmings pulled up short just before kick off. Having already been on the books with Bristol Rovers and Bristol City the 20 year old is looking like a great option to have in the City squad. Hunter already has a bag of tricks with the ball at his feet but Owers can help work on the youngster’s positioning and reading of the game; to help fulfil his potential. One player I would love to see tied down on a season long contract is Josh Hutchinson. 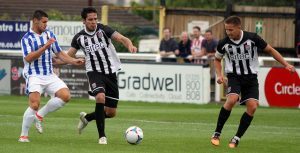 The current under 21 player has really impressed the Twerton Park faithful this pre season after his league introduction at the end of the last season. Rumour has it that he has already signed a contract but I can’t see this on the official website. Pace is something a City frontline has been short of in recent seasons so Hutchinson would be a real asset this season should he sign on. Callum Hall and Jordan Williams also made impressive contributions from the bench but both will need more game time before Owers makes his decision. If Dan Bowman can get himself fit for the final few friendlies then the full back would be a very welcomed addition to an already strong defence. To conclude it’ll be great if the club can get a few of these signings over the line next week then the squad can begin to take shape in time for the season’s opener away to Margate on the 6th August. The Supporters Club HQ also has some limited edition stock in at the moment. Ken Loach has kindly donated 10 Looking for Eric screenplay books, all signed by Ken. These are on sale at home games priced at just £10 each, there are now just 8 remaining so make sure you pop in on Saturday (Oxford at home) to pick up your copy quick! 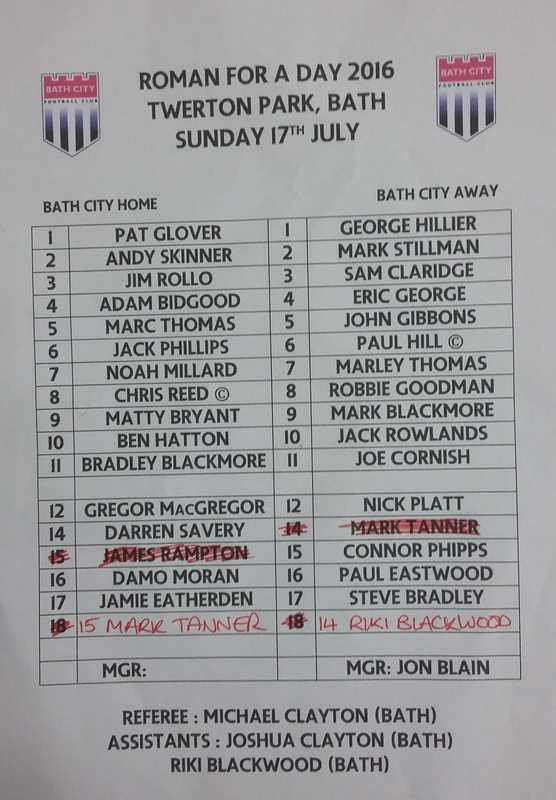 It was then the fan’s turn to show off their skills on Twerton Park on Sunday 17th in a 11am fans game. 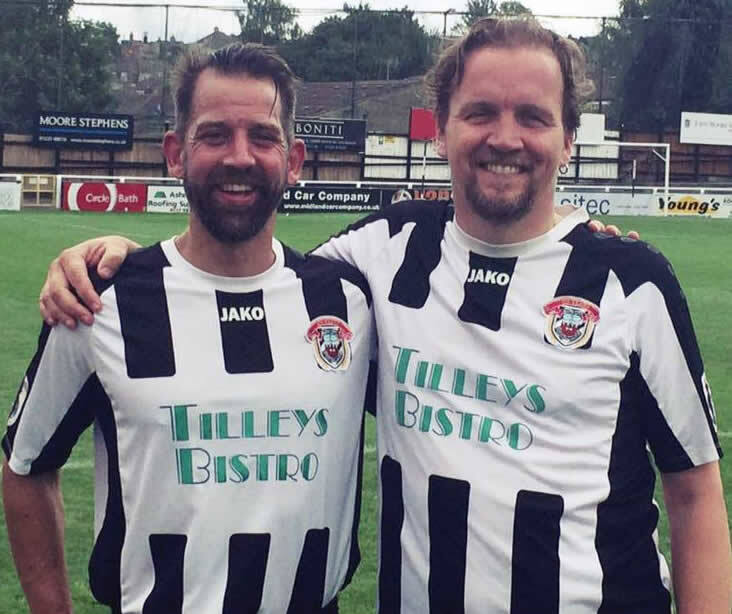 Every year supporters organise a fans vs fans game in Bath and for the past two years the club have let them use Twerton Park. This year was extra special for those involved with Sir Jim Rollo making an appearance and paying his £20 for a 60 minute run out like everyone else. 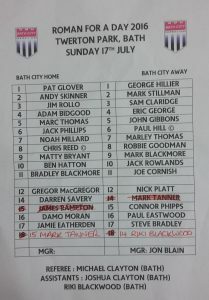 The City assistant manager was on the home team with Bath City Supporters FC veteran Paul Hill captaining the away team. Split into three 30 minute segments the game was played in good spirit with school mates and work colleagues pitted against each other. One match up of note was Marc Thomas against his son Marley Thomas, which despite the experience Marley just shaded that particular duel. The home team took the lead through Matthew Bryant who soon helped himself to a second goal shortly afterwards. Some resolute goal keeping kept the score down for the away side yet the experienced rear-guard of the home side restricted chances at the other end. A third goal came in bizarre fashion from a Darren Savery cross with the defence and keeper thinking it was going wide. 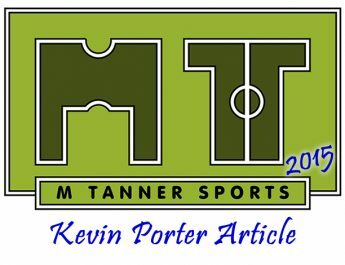 Rollo was making some surging runs from deep to try and get his 10th goal in nearly 500 outfield appearances for City and a golden opportunity presented itself late in the game when Ben Hatton was fouled in the box. However Rollo offered it to Bryant for his hattrick but the striker was reluctant to take it. So Hatton dusted himself down to finally have a decent opportunity to score after a torrid afternoon in front of goal, with nothing connecting for the striker. Unfortunately the recent graduate will have to wait another year to score when his penalty was saved. The away side did grab a consolation goal on 88 minutes with prolific Bath City Supporter FC striker John Gibbons jinxing past two defenders to fire past Glover; making the final score 3-1. Thanks for the last minute switch! A big thank you must go to the organisers and the club for getting this game on. It has really brought the fans closer together in time for another season in the Conference South for the first team. Martin Cleaver has taken a set of pictures of the day which can be found here.